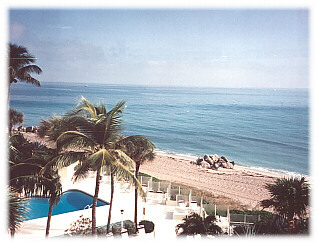 Luxury beachfront 2/2 Boca Raton condo with private beach. 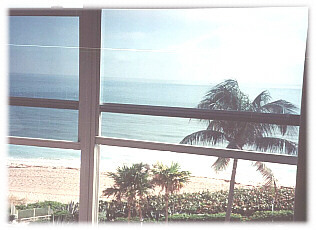 Furnished in designer furniture, look out of the wall of glass to the ocean rolling up to the private beach and putting green directly under your 5th floor balcony. Security gate, heated pool, and every ammenity to make your life comfortable. 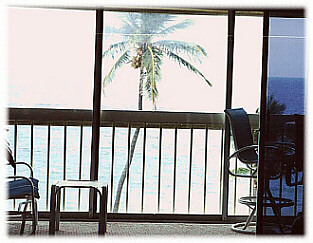 Oceanfront condo, private beach, wall of glass overlooks private beach, pool, and private putting green. One king size brass bed in the master bedroom. In guest suite, two sets of bunk beds of oak nautical design with bottom bunks being queens and top bunks being single. Fully equiped kitchen with all utensils. Kitchen opens up into formal dining area. 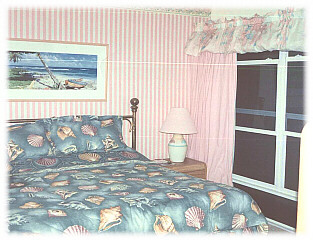 There is also a beautiful family room overlooking the ocean and sun room which can be enclosed by glass sliding doors or opened to hear as well as see the ocean roaring on your private beach below. Two televisions and VCR, designer furnishings from DCOTA design center, and every amenity in this gated condo. 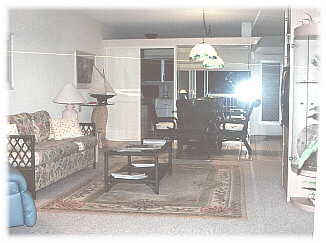 Condo complex has private heated pool and private beach as well as own putting green.